Glossy pages and a very old bridge. There's been some more sightings of my quilts! They sure do get around doing their bit to add colour to the world. 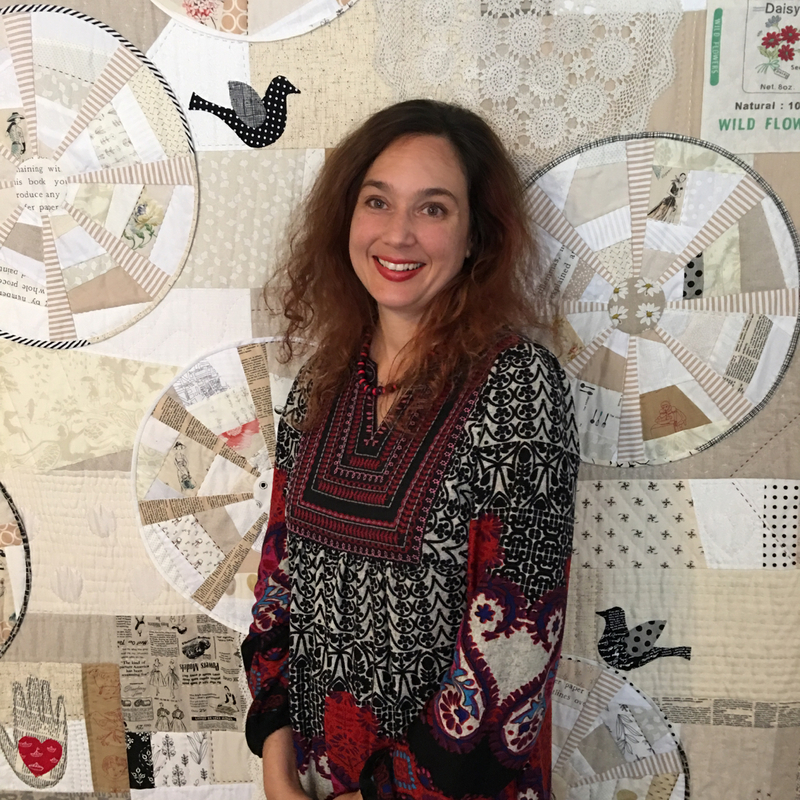 I was as pleased as punch to see my quilt on the latest QuiltNSW newsletter. It's not something I ever thought to see but there it is in black, white and lots of colour. I'm thinking I should frame it. 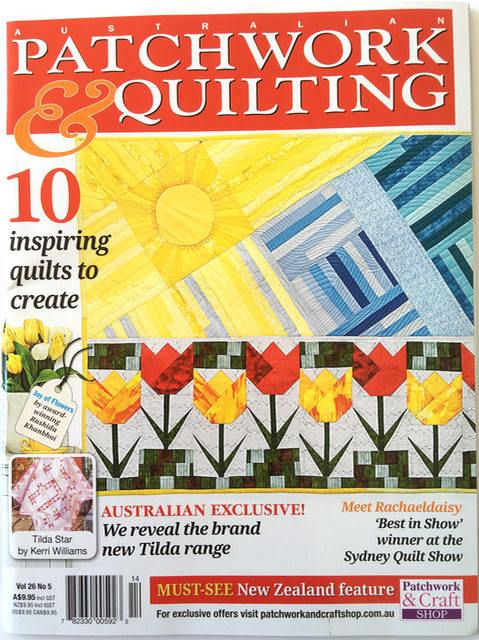 This is the current copy of Australian Patchwork and Quilting magazine with a beautiful sunny cover to celebrate the arrival of spring here in Australia. If you flip through the pages you'll find a 2 page article about me that starts on page 82. 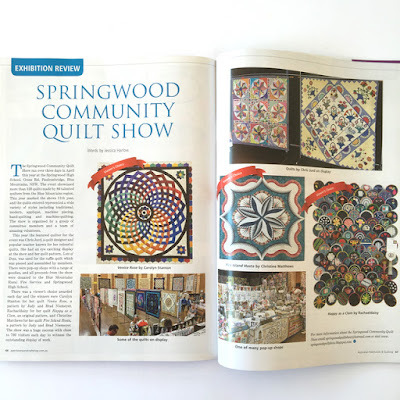 But that's not all - there is also an excellent exhibition review of the Springwood Community Quilt Show with a great overview of the show and lots of quilt photos. Sending out a super big Thank You to Australian Patchwork and Quilting magazine for their awesome articles and wonderful support of both myself and the Springwood Community Quilt Show. The first half of the year was so busy between working and finishing Whizz Bang! in time for the show that it didn't leave much time for other things. I've been making up for it over the past few weekends by doing a bit less sewing and a bit more getting out and about with Mr Daisy. I figure if I record them here on my blog when I next get into a sewing frenzy and not want to leave my sewing room I'll have proof that there were times that we did indeed go out into the outside world. 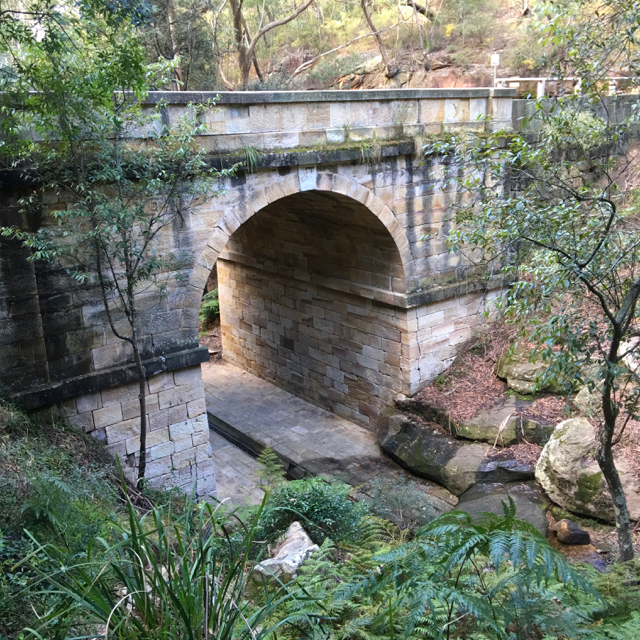 Last weekend's adventures included visiting an old bridge that is just a 20 minute drive from our house. We've driven over it but never stopped to have a closer look. Upon reading the plaque I learnt that The Lennox Bridge is the oldest surviving stone bridge in mainland Australia. It's hard to capture in photos how big and grand the bridge is. To give you a sense of scale you can see Mr Daisy looking like a little pixie in the archway. It echoes as you walk through and although it's not the Sistine Chapel I stopped to admire the beautiful colours in the sandstone brick ceiling. We had fun hopping from rock to rock. 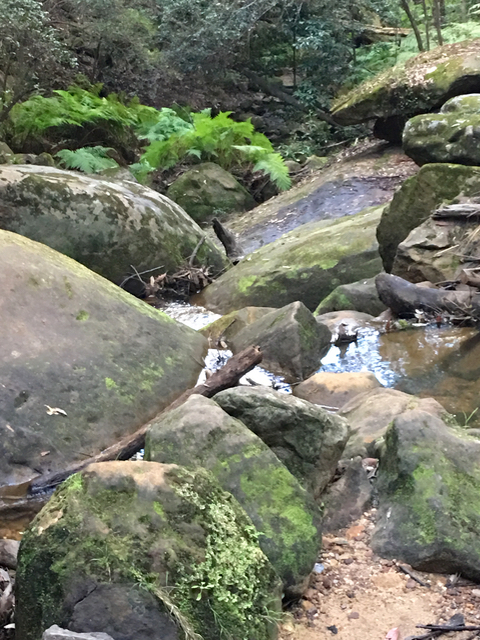 We'd stop here and there to admire boulders and branches as though we were in an art gallery. I've always said Mother Nature is my favourite artist. I wish you could hear the sound of the water running as you look at these posts. It was so calm and soothing for the soul. The whole time I was there I couldn't help thinking it's the perfect place for quilt photos!! Now that's good incentive to get some quilts finished. Blue Mountains magazine QuiltNSW thank you WhizzBang! Wonderful! Just keep doing what your doing. 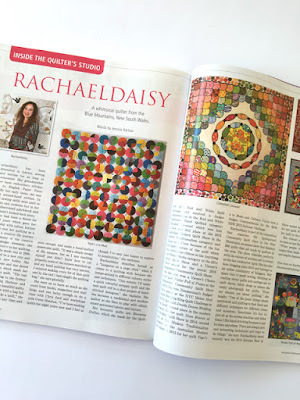 I really enjoy seeing your name and quilts in print. You really should frame it. So fun for you! Oh my...what a wonderful year for you and believe me, it's well deserved !! Hi Rachael congrats my friend you so deserve everything ,it's been a a amazing year for you with your beautiful quilts. Oh my stars, congratulations and hugs to you galore! You are going to need a huge scrapbook to keep all of these publications. What fun! The bridge is stunning. It does look like a peaceful setting. Great photos. I tuoi quilt sono conosciuti dal mondo intero! 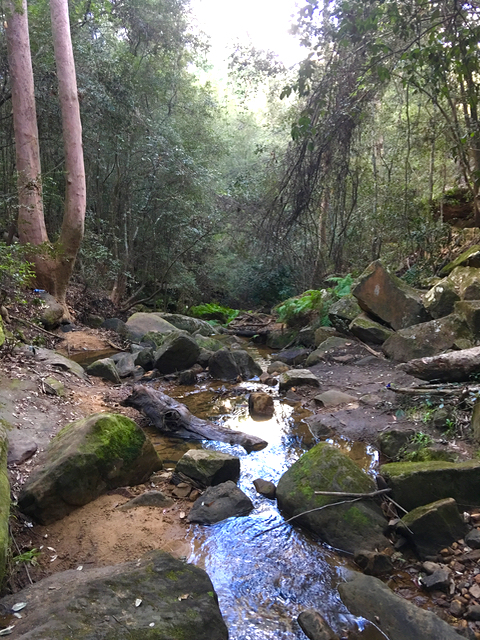 Grazie per le belle immagini al ponte maestoso! Frame it? OF course you should frame it! It looks particularly sensational on the black background. 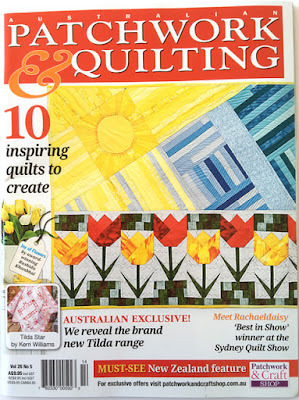 My favorite shop used to carry Australian Patchwork and Quilting but doesn't anymore so I will have to go on a hunt to find this issue. Congratulations! The Lennox Bridge is beautiful. If you ever get to the states and want to come to Maine I will take you to Acadia National Park where there are many beautiful stone bridges. Lots of great hiking too, where the mountains meet the sea. Someday! Thanks for sharing your wonderful news. 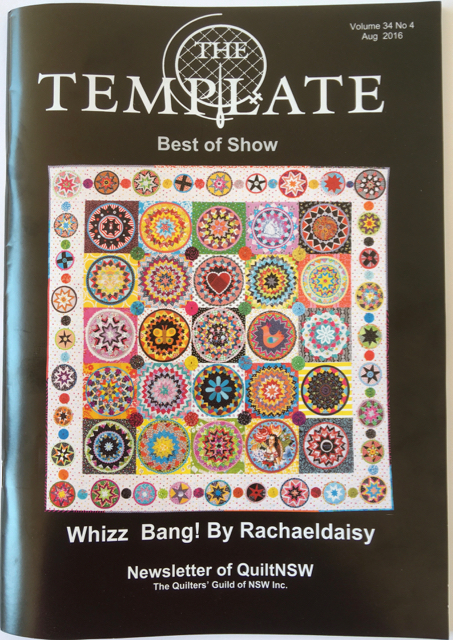 Your quilt looks great with the black background on the front of the newsletter. Frame it immediately and hang it up in your home! 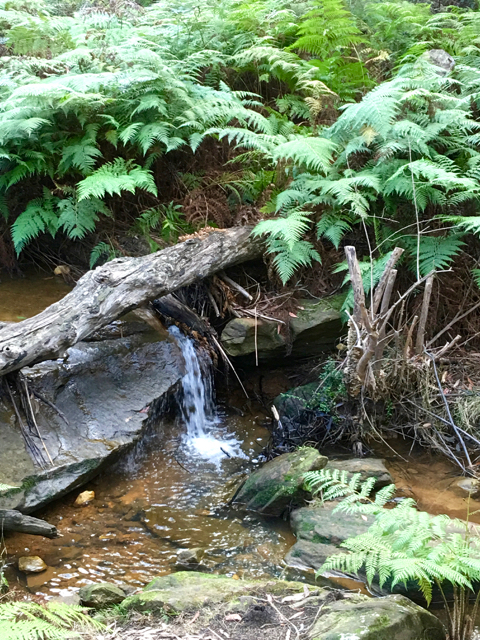 Love the bridge and cool water water photos. I can hear the water swishing even from the UK. Love all those great pictures of that wonderful stone bridge and the treasures of history you shared. What a magical place! I've reserved this magazine from our local library and am looking forward to reading more. 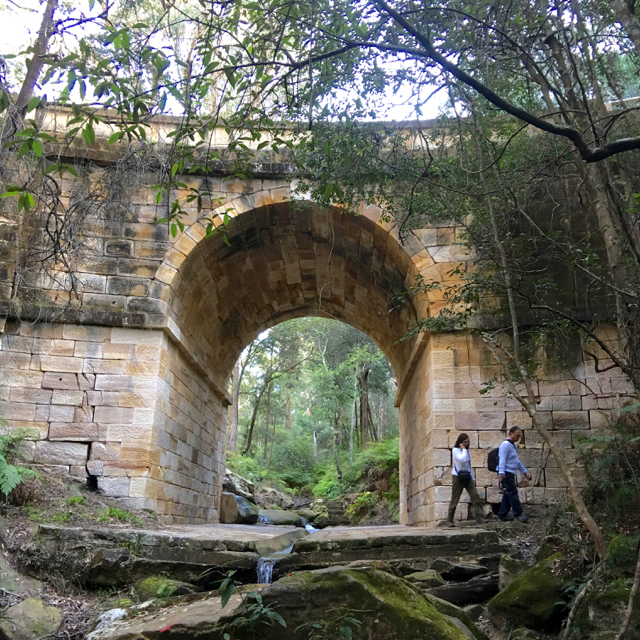 The Lennox Bridge and surrounds would make wonderful backdrops for quilts and also a great spot to enjoy wandering, absorbing the fresh atmosphere and taking lots of photos - or drawings. Whoo--hoo! You are a quilting superstar! The bridge and surrounds would make a perfect backdrop for your colorful quilts--can't wait to see what you come up with next! I'll be watching for the magazine in the local book shop! Lovely photos of your trip out and about, I do miss the old stone used in bridges and houses that we were used to back in England. Thanks for brightening my grey Melbourne day with your successes. Congratulations. Mother Nature may be your favorite...and mine...artist. But Racheldaisy is very close behind!! Your style is just so fresh and unique that everyone is enjoying seeing your creations. I enjoyed seeing you in the Quiltmania Simply Modern. I'll look forward to seeing your next photo shoot at the bridge. And what a find - the oldest bridge on the mainland, eh? 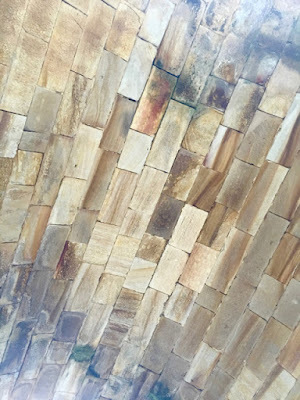 Sandstone is so pretty. Congratulations Rachael ! You truly deserve it. Do you know there's a whole page picture of you and Whizz Bang in the latest issue of Quiltmania magazine ? 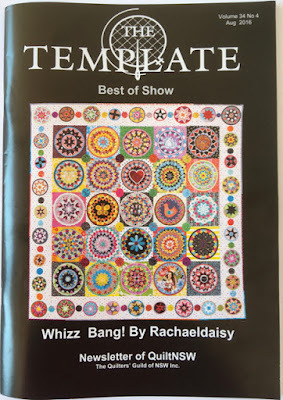 And you have two dedicated pages in Simply moderne (Quiltmania modern magazine) for Whizz Bang and Blue Jeans and Moonbeams. You've been all over the world ! Wow! You are in the limelight at the moment. Congratulations. 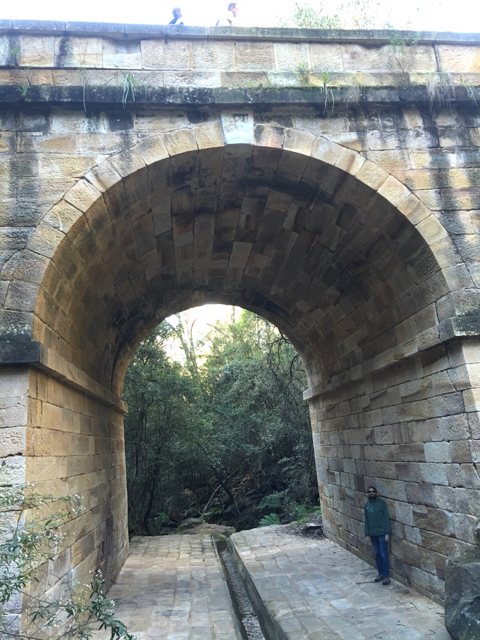 We drove down to have a look at the Lennox Bridge years ago but couldn't real work out where to to have a good look. We may have to take a detour one time when we aren't in a rush. Hooray for Whiz Bang. It is as unique and original as you. Wow that looks like a great article. and all the photos of you are so happy and beautiful. I love your top. What a wonderful adventure to see that bridge. It is so neat. I always marvel at how very different our climates are! Have a wonderful weekend and have some bubbles to celebrate all your publications and wins! That bridge does look interesting and beautifully constructed. It always fascinates me how they manage to build an arch like that, you'd expect it to fall through itself somehow ! Congratulations on being in print. The accolades were well deserved. The photos of the bridge are just lovely. Usually when we go to or through the mountains we are in a hurry to get there, so we whizz up the main highway. I often stop and wonder how much of today's architecture/infrastructure will be viable in 100 years time. Not much of it is beautiful, that's for sure. Congratulations. You must be so proud. Having a quilt in a text is so special because so many more people will see it. Your quilts are so lovely they should be shared. 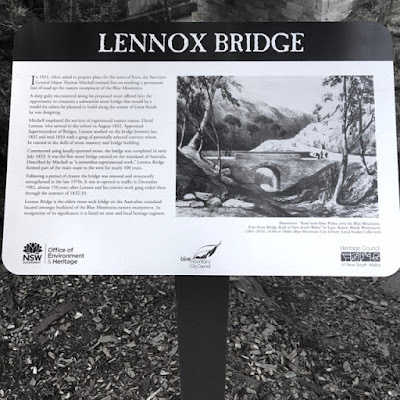 Lennox bridge is right near my house. We walk the dog to it and in the summer go for a paddle. We used to call it our secret beach. You are such a pretty lady ! Congratulations on all your successes ! So happy for you! All your accolades are very well deserved! What a lovely place and I agree it would make the perfect quilt photo shoot location. Is that your quilt you are standing in front of? I don't think I've seen that one. I'll have to visit some book shops to look for these issues of magazines. Can't wait to buy them! Love seeing your quilts all over the place - and what a sweet pic of you, too! That stone bridge is just gorgeous, looks like something from Lord of the Rings! Yes you must frame it!